Spirit 46’ Helen has recently left the Spirit Yachts’ yard in Suffolk following an extensive refit. Spirit 46’ Helen has recently left the Spirit Yachts’ yard in Suffolk following an extensive refit, with results to be proud of. Helen’s third owner brought her over to the UK from Greece after she had been unused for a considerable time. The highly skilled team of craftsmen and women at Spirit carried out a full respray, sanded back and re-varnished all the wood and replace the deck teak. As well as restoring her elegant finish, Spirit worked on bringing the construction of Helen up to date and fine tuning her performance capabilities. For example, the winch fittings have been brought up to date, AIS fitted, modernised rigging put in place including bringing her mast to a more upright position. However, as with all Spirits, Helen’s durable construction has stood the test of time and her hull, keel and rudder remain untouched and still in excellent condition. 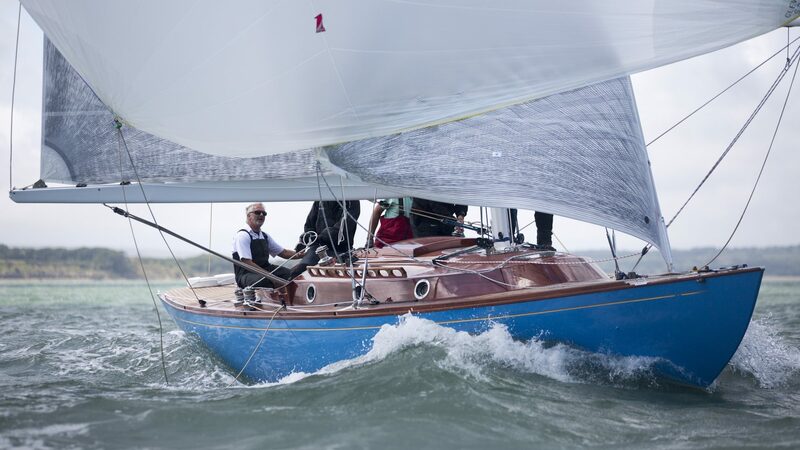 As part of its ongoing partnership with OneSails East, Spirit worked closely with John Parker to revitalise Helen’s sail wardrobe. With a new suite of sails, including an asymmetric, and a spinnaker pole system added, Spirit expect Helen to be competitive on the race circuit this summer. Keep an eye out for Helen at the British Classic Yacht Club Panerai regatta this week, with updates on our Facebook and Twitter pages. Spirit Yachts will be launching a new Spirit 46’ at the upcoming Southampton boat show from 11th – 20th September. To book a test sail or private viewing, please email [email protected] or phone +44 (0) 1473 214715.